Twenty-one years ago I took a strange trip south with the legendary Aggie Jones on a mission to purchase a work by Queena Stovall, the folk artist of the Blue Ridge Piedmont in Virginia. The mission was successful, as recounted here on this blog a few years ago. What I didn't mention on that post was that the auctioneer, Ken Farmer, was a great guy who helped us in a couple of very important ways. First, he let us plug into his electrical system to recharge the van we were driving; and second, it was Ken who implored me to buy the Queena Stovall andirons that went with the painting. I hadn't previously been aware of their existence, having been so focused on the painting. Anyway, Ken stopped in the museum today and I had to get a picture with our mutual friend, the "Fireside in Virginia" painting I bought so many years ago. They do say that farmers are the most helpful people. There is a literal truth to that. 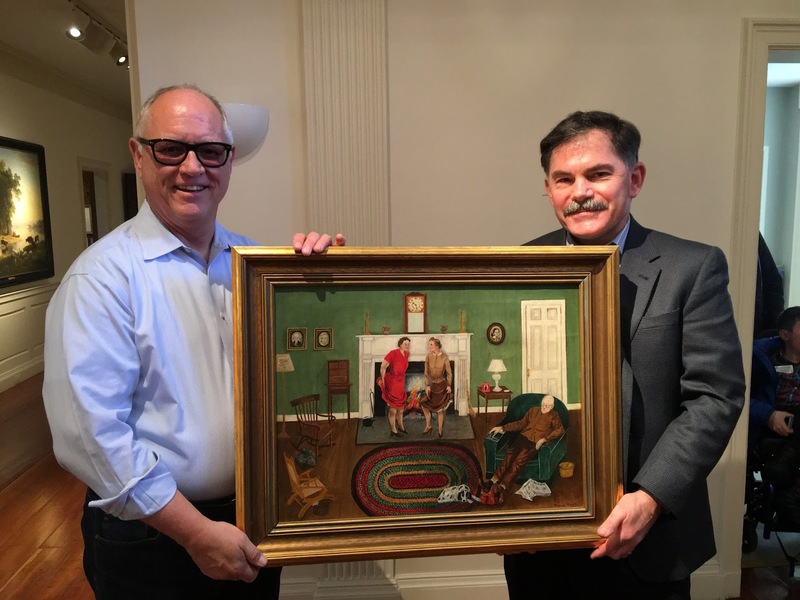 Paul D'Ambrosio is President and CEO of the Fenimore Art Museum and The Farmers' Museum in Cooperstown, New York, and oversees one of the best folk art collections in the United States. He has organized exhibitions in the United States, Europe, and Japan. 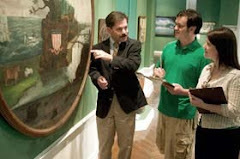 He is also Adjunct Professor of American Folk Art in the Cooperstown Graduate Program for Museum Studies and the author of numerous books and articles about American folk art.